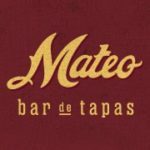 Mateo’s features a menu that blends the flavors of Spain with beloved ingredients and dishes of the South. We offer a casual, yet refined, menu of Spanish small plates with a Southern inflection. Accompanying the food is a robust Spanish wine list as well as one of the largest sherry offerings in the country.